Synopsis: Johnny Handsome is a deformed gangster who plans a successful robbery with a friend of his, Mikey Chalmette, and another couple. Ellen Barkin, eh? What a woman! She could slap me around anytime, and snarl at me in that foul-mouthed Bronx accent she uses to such good effect. She never made it to the A-list, despite possessing a varied acting range and always delivering reliable performances. She’s re-united here with Mickey Rourke, with whom she nearly had an illicit liaison in Diner a few years earlier, and she really is as mean as they come. She shares a mutually abusive relationship with Lance Henrickson here, who is every bit as mean as she is, and it’s this pair, together with Morgan Freeman who is regrettably off-screen too often, who really make this film. Rourke is OK, his looks were still intact back in ’89, but he only ever seems to come alive when he is holding a knife to someone’s throat. 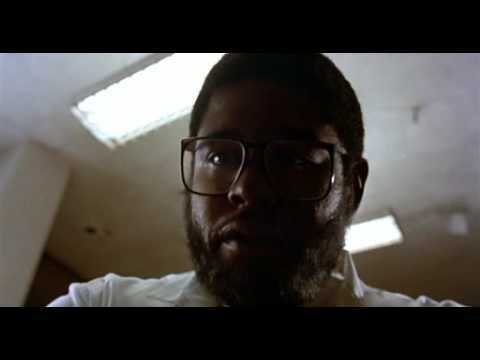 The story is borderline ridiculous, and it drags during the scenes in which Forrest Whitaker (whose beard makes his head seem curiously squashed) performs the reconstructive surgery on Johnny’s face that offers him the opportunity to get even with the low-lifes (guess who) who murdered his partner during a botched robbery. Johnny’s transformation is presented as something between a gift from God and from medical advances, and if writer Ken Friedman was attempting to make some kind of observation or statement I can’t for the life of me begin to think what it was. Johnny never seems to go through any crisis: he immediately sees his transformation as a passport to revenge and nothing more and nothing, not even the efforts of pretty Elizabeth McGovern, can distract him from his aim. This being an 80’s Walter Hill crime flick there is, of course, plenty of naked female flesh on display (although, sadly, none of it belongs to Ms Barkin) and a real immersion in the sleazy back-street strip-club side of life that gives the film it’s strongest moments.